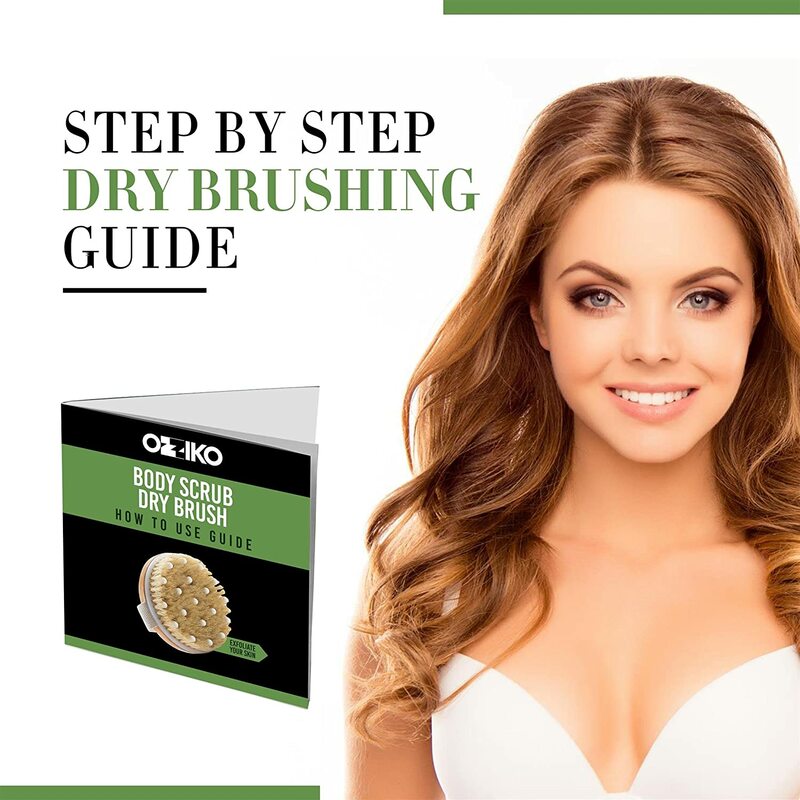 Why You Need To Dry Brush Your Body? Improves Skin's Health And Beauty - You will notice that your skin will become more radiant and softer when you undergo this treatment. Natural Exfoliation - Removal of dead skin cells will encourage replacement by new ones. 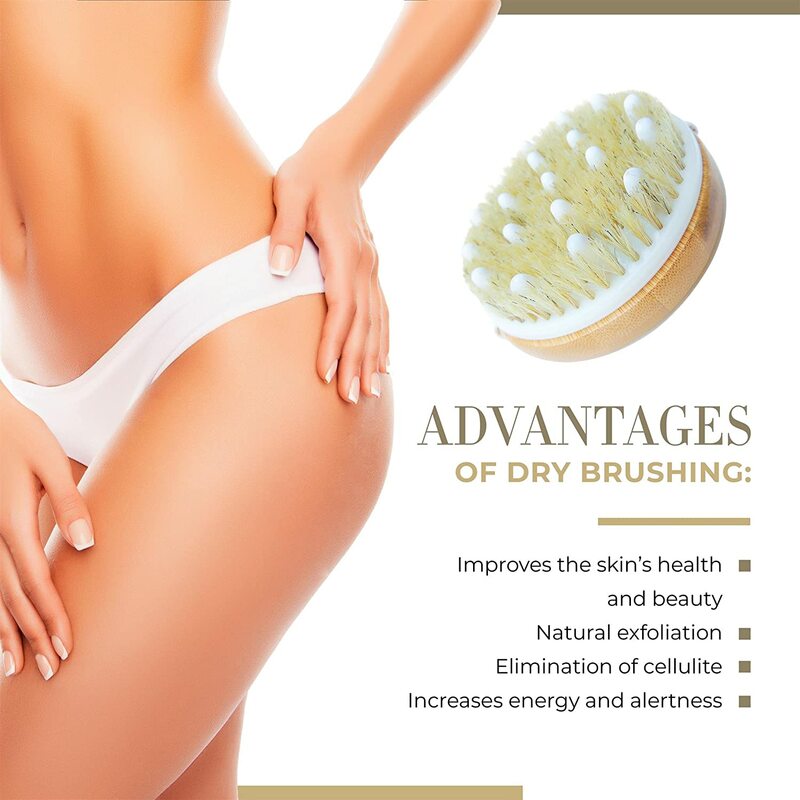 The cleansing action of dry brushing improves absorption of nutrients by the skin. Brushing makes the skin clearer and attractive. 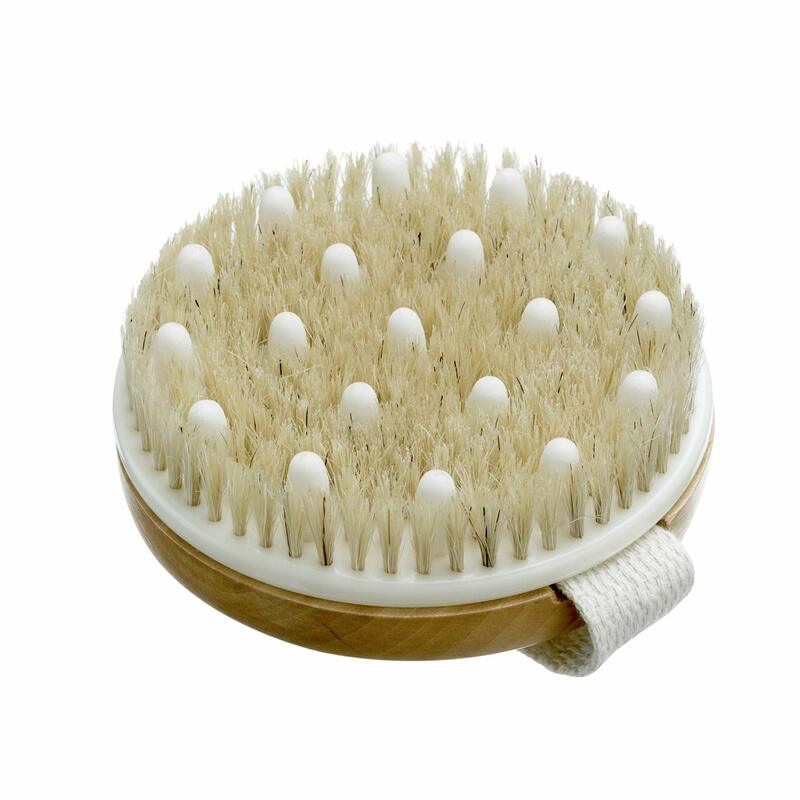 Unclog Skin Pores - Dry brushing removes dirt, cleans oil and remnants of dead cells from from your skin pores. A milder brush can minimize the size of the pores. Effective Solution for Ingrown Hair - This natural way of exfoliating your skin will encourage the proper growth of body hairs, avoid ingrown hair, and enhance their function. 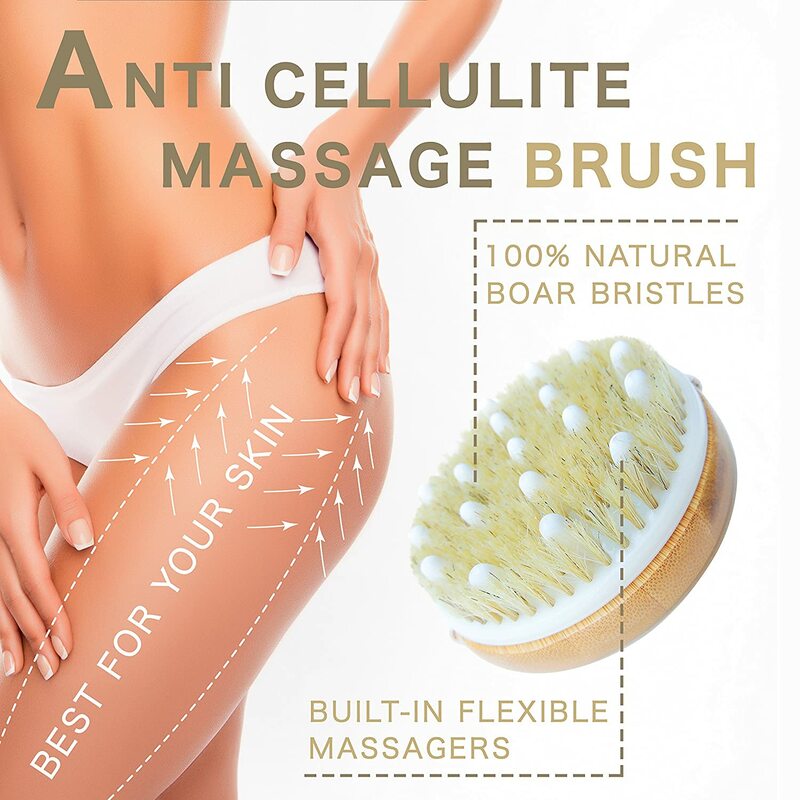 Elimination of Cellulite - You can get rid of the toxic substance in the fat cells through dry brushing. People who practice this technique confirm that it is an effective method for removing cellulite from the system. 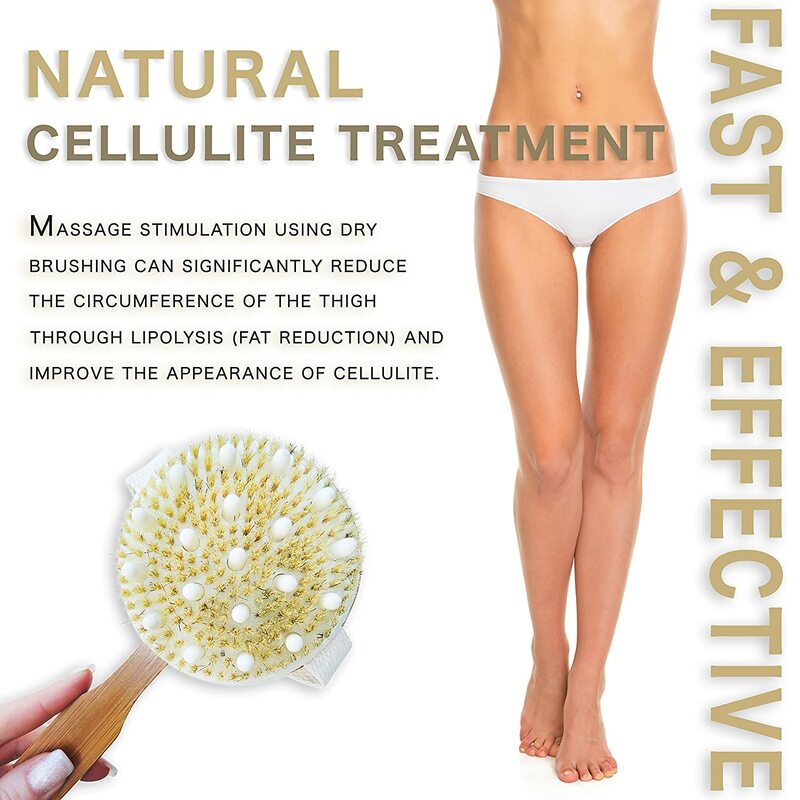 Brushing is a natural alternative to procedures like liposuction. 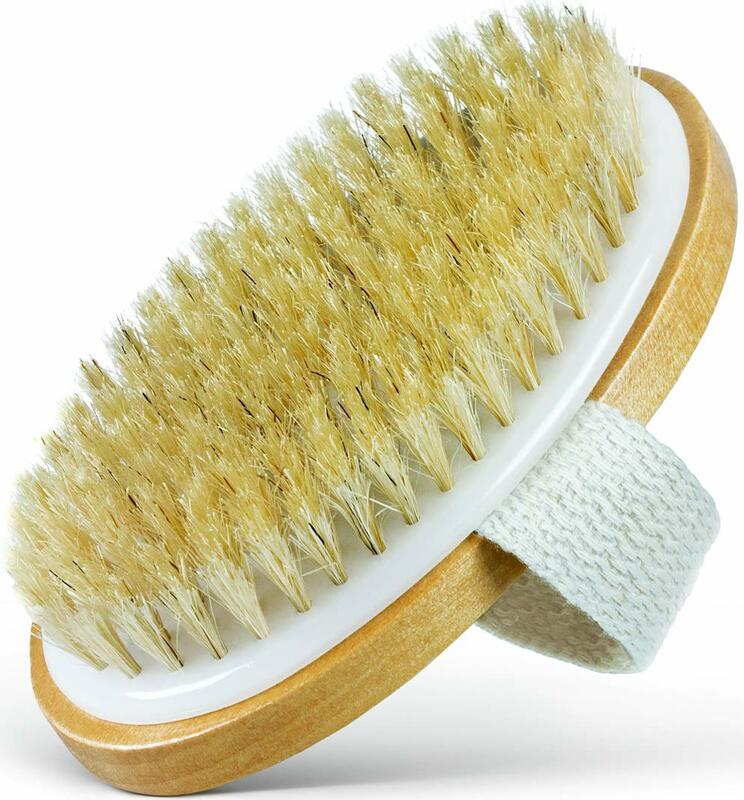 Increases Energy& Alertness - Dry brushing boosts your energy as it improves circulation of blood. Practicing it the mornings will make you active and keep you on the right track for the day’s tasks. 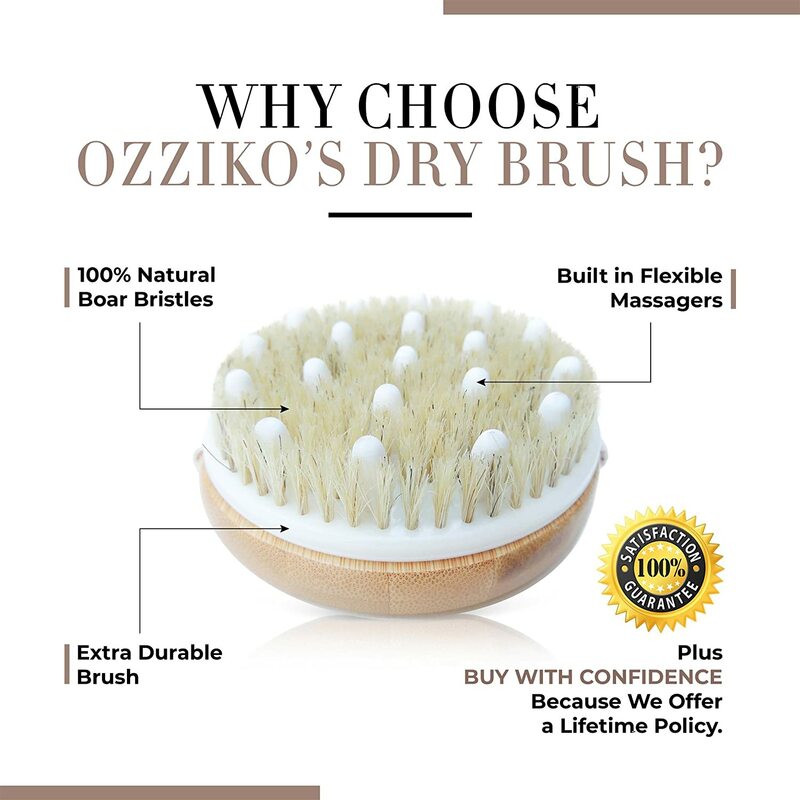 Why Choose Ozziko’s Natural Dry Brush? 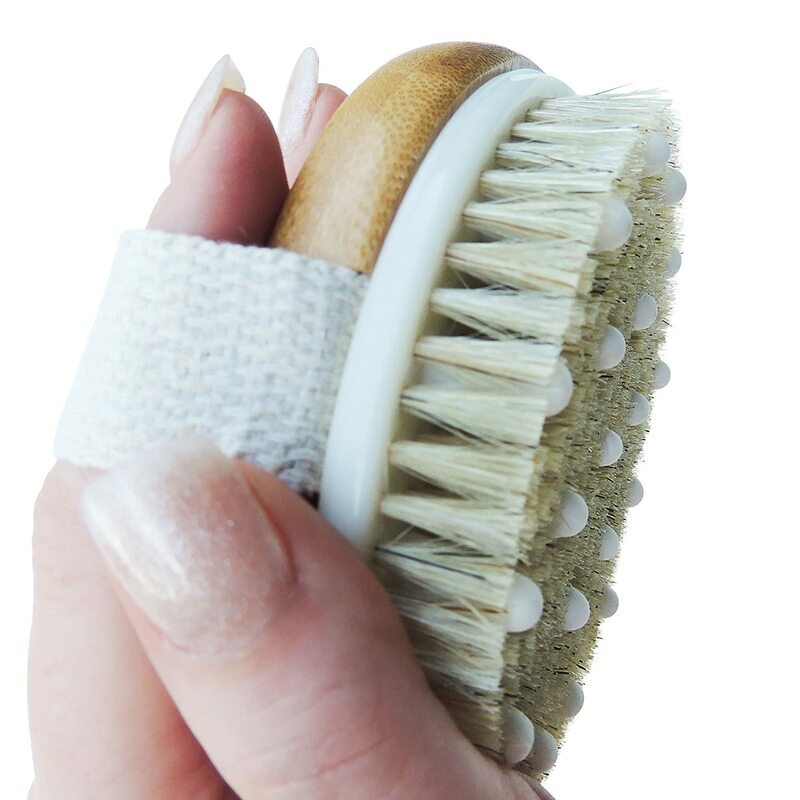 Natural Boar Bristles - The bristles are perfectly firm without being rough enough to scratch your skin. Love It Or Your Money Back - no questions asked. Finally Iu2019m able to reach my back and not leave scratch marks all over. The bristles on this brush are soft yet exfoliating. My skin feels soft after every wash and clean after a long day in the kitchen. 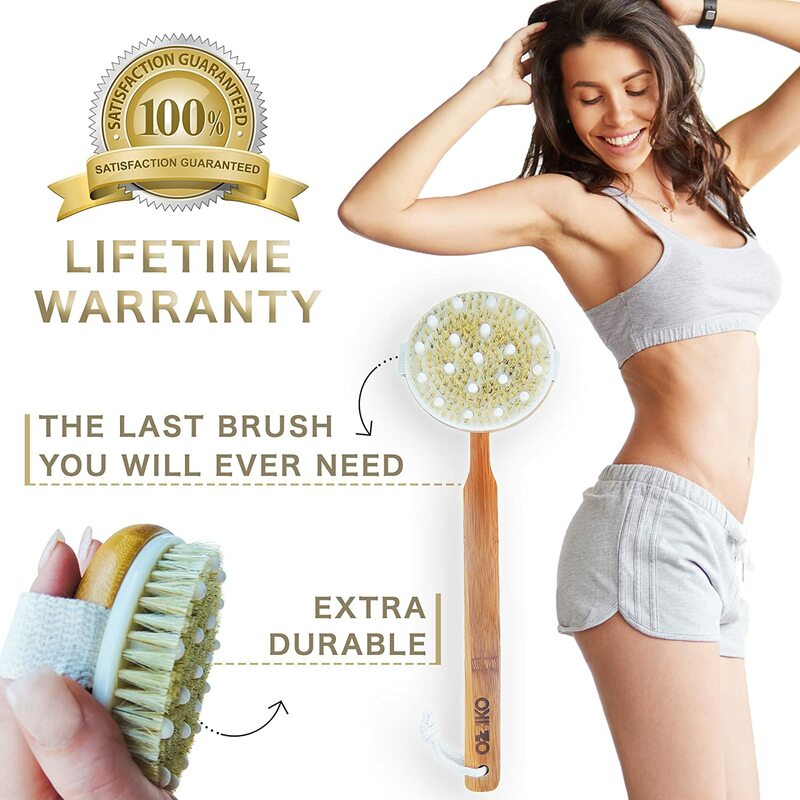 I highly recommend this body brush! Eventually this brush will work nicely, but I'll have to break it in as the bristles are harsh and stiff right now. Shouldn't be more than a week or two. One other thing is that it's difficult to get the head back off the stick once you've stuck it on. Otherwise, product is quality and I would purchase again. 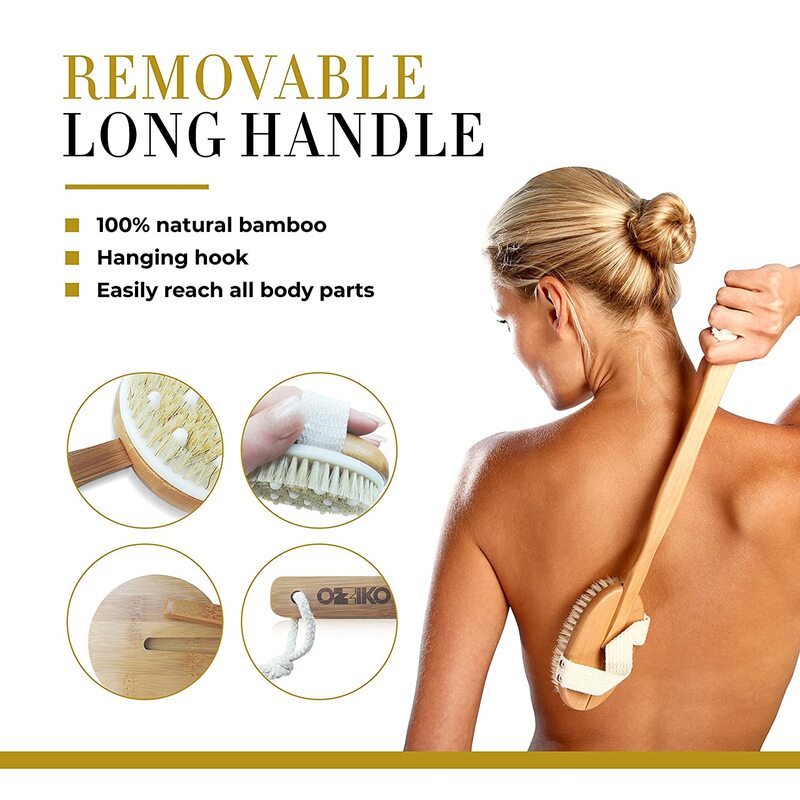 Love this brush especially with the extension I can brush my back by myself no need help And a cute plus it's come with a case to protect the brush! The hair is a great quality. A little larger than expected, which I consider a plus! The bristles on this brush are soft enough that they dont scrape my skin, but stiff enough that they're not flattening out and bending while i dry brush. Definitely a quality, soft brush for beginners or sensitive skin. If you're a more experienced dry brusher or have less sensitive skin, you might want to look for stiffer bristles! The little massage bumps do however seem to be bent after my first use, which is why i knocked off one star, I'll update my review after a longer time of use if i find they bend to an extreme. Also, the handle thankfully does not slip out while you're brushing. As you can see in the pic, the handle actually doesnt slide all the way in on mine before its a tight fit thatll stay put. Amazing product, the first one I bought thats really easy to use, I love it, it's soft and I really feel clean after using it. And it also comes with a nice travel bag. Can be used with or w/o the handle. The white things are soft and create a great combination with the hard brush. 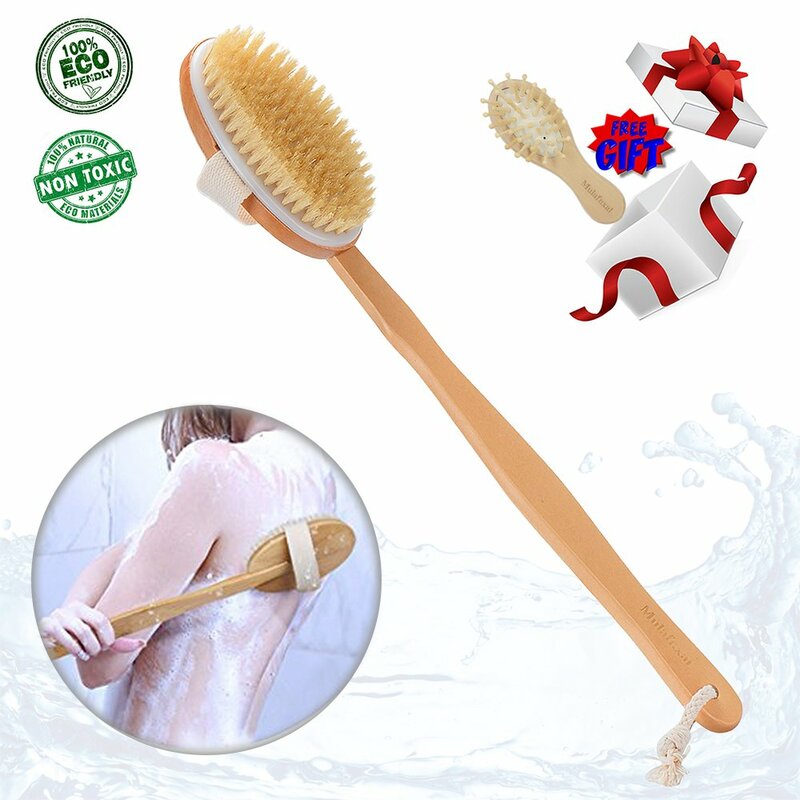 The best and easy item to wash you back, so comfortable this item washes your back and messages. The handle is detachable and that is nice. Feels good on my back. The handle is long to reach my back.